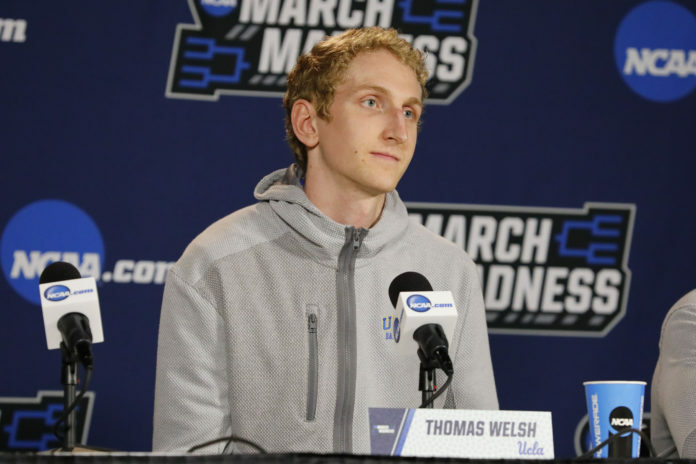 According to league sources, Thomas Welsh, the Denver Nuggets second-round pick hailing from UCLA, has agreed to a two-way contract with the team. 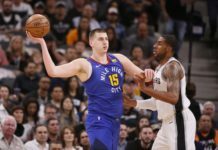 Welsh, who is described as, “a spread five that makes shots, rebounds, and is a very bright kid,” by Nuggets President of Basketball Operations Tim Connelly, has caught the eye of the Nuggets front office enough to keep him around for the coming year. Welsh was a four-year center at UCLA and improved every season. 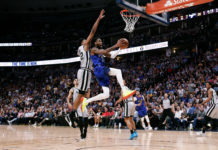 His career arc culminated into a solid senior year where he averaged 12.6 points, 10.8 rebound, and 1.4 assists on 48.5 percent shooting from the floor and a scalding 40.2 percent from three-point range. 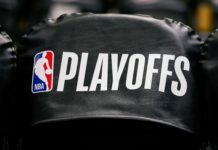 Now, all that is left is waiting to see what Welsh can do when the Nuggets tip off for their first game of Summer League on Friday night.